Location: Opposite the main S door of the Church of Saint Mary. Description: Probably C18. 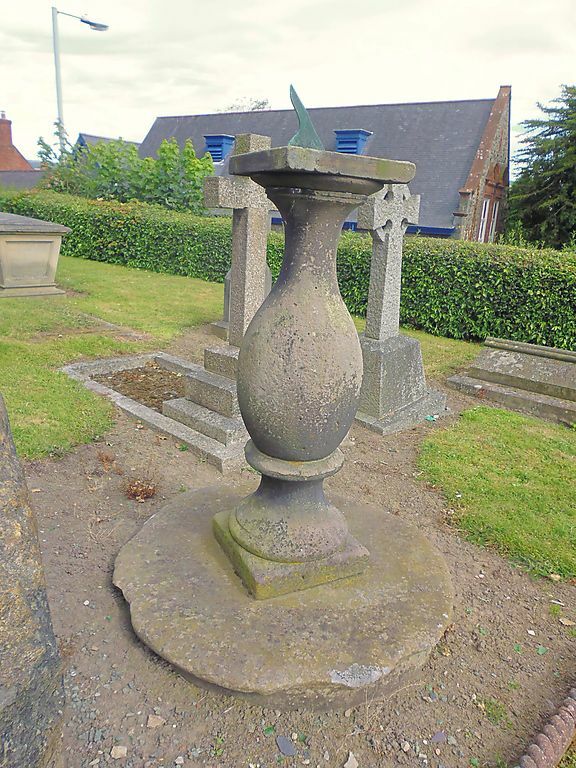 Stone balustrade type, raised on a circular stone base, and with square top plate, which carries a copper dial. A good example of a C18 sundial, which forms part of a group with the Church of Saint Mary, the churchyard walls, and the war memorial. At the head of the steps which are the main entrance to the Churchyard from Church Bank.